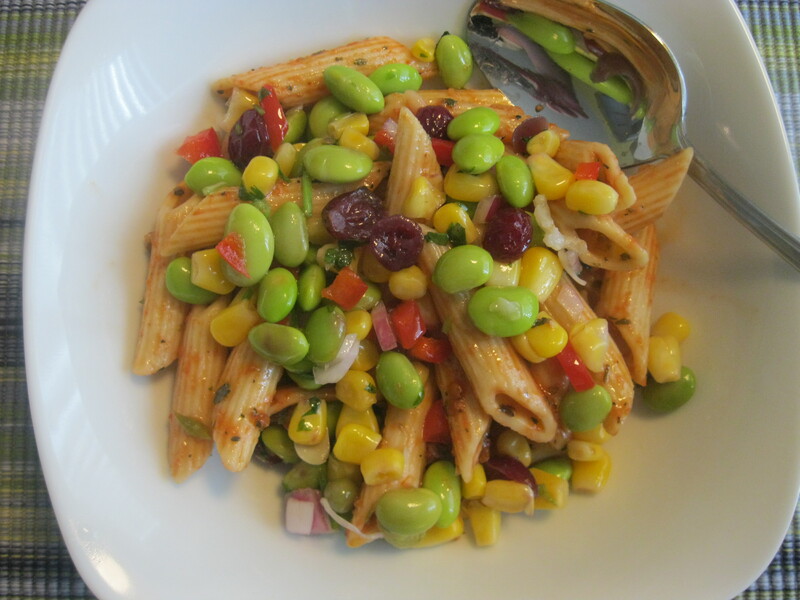 Edamame and Cranberry Pasta | Cooking With Mr. C.
1. In a large skillet put olive oil. Add garlic. Brown for a minute and add edamame, red bell pepper, cranberries, red onion and corn. Sauté for 5 minutes. Add sea salt and mix all together. 2. Pour over cooked pasta. *Parmesan cheese on top is optional. You have very nice pasta dishes on here.